Well, a new year is upon us as well as a fresh brewing competition season. I hope you took advantage of the cool weather over the holiday season to bet some batches fermenting. I did! 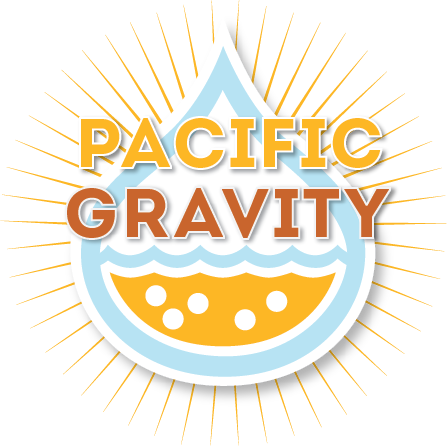 Each year, Pacific Gravity honors the brewer (or team) with the most homebrew competition wins. Last year we added in our new competition: Los Angeles Belgian Brew Challenge, with entries due March 12. Also, keep your sites on the America’s Finest City Homebrew Competition, hosted by QUAFF with entries due in late January, and the American Homebrewers Association National Homebrew Competition with open registration starting February 1-7. Our official list of competitions for accumulating Brewer of the Year is listed below. Check back frequently as exact due dates become known. We are looking for some spirited competitors to knock Brian and Kingsley off their lofty perches. The Doug King Memorial Competition hosted by the Maltose Falcons, offer a Pro-Am opportunity with Best of Show being brewed at Eagle Rock Brewing. The Doug King competition focuses on a limited number of lagers and experimental beers, using the Maltose Falcons guidelines. This year, they included meads in the DKM! Doug King entries are due January 8th and can be dropped off at the Culver City or Eagle Rock brewshops. Details can be found at http://www.maltosefalcons.com/content/2016-doug-king-memorial-homebrew-competiton. They also need judges on Saturday, January 23, 2015 at 9:00 AM at MacLeod Ale Brewing Company, 14741 Calvert St, Van Nuys, CA 91411. The 4rd Annual Romancing the Beer Competition, held by the Thousand Oaked Homebrewers. Entries are due February 12, and can be dropped off at the Eagle Rock shop (but NOT Culver City), the Woodland Hills shop, or Westlake Brewery 31111 Via Colinas, Westlake Village, CA 91362. Full details can be found at http://www.toaked.com/competition/. They need judges Saturday, February 27, 2016 at 9:00 AM, PST. This competition uses the full 2015 BJCP guidelines.